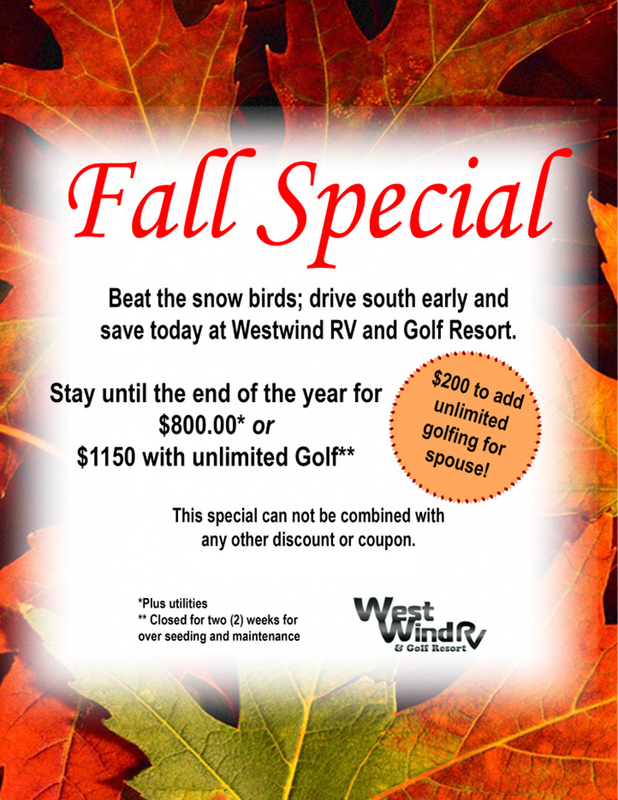 Beat the snowbirds: drive south early and save today at Westwind RV & Golf Resort. Stay until the end of the year for $800.00 or $1,150.00 with unlimited Golf*** Only $200.00 to add unlimited golfing for your spouse! This special cannot be combined with any other discount or coupon. Valid September through December.